Tools for your strategy-driven event. 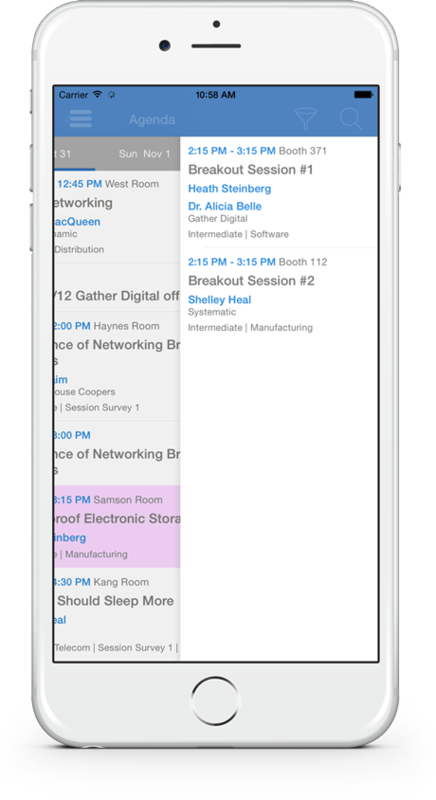 Your schedule is the heart of your event and it’s also the heart of the Gather Digital conference app. Gather Digital helps you tell your story with a powerful and beautifully designed agenda tool that offers the industry’s best basics, plus a whole lot more. 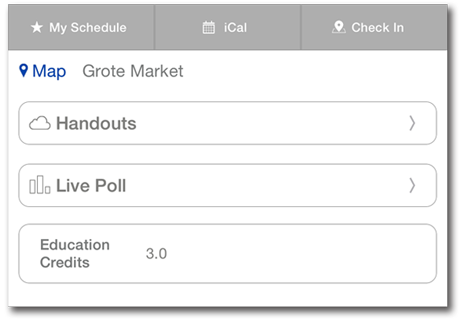 Agenda design is clean and simple with key details easy to access and available at a glance. 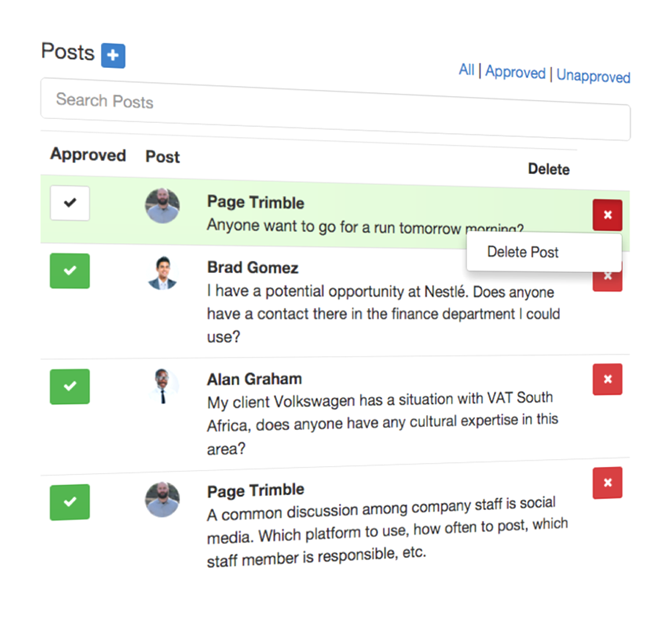 You make edits to the content at any time and the information syncs seamlessly to your users’ devices. Find what you are looking for quickly and easily. 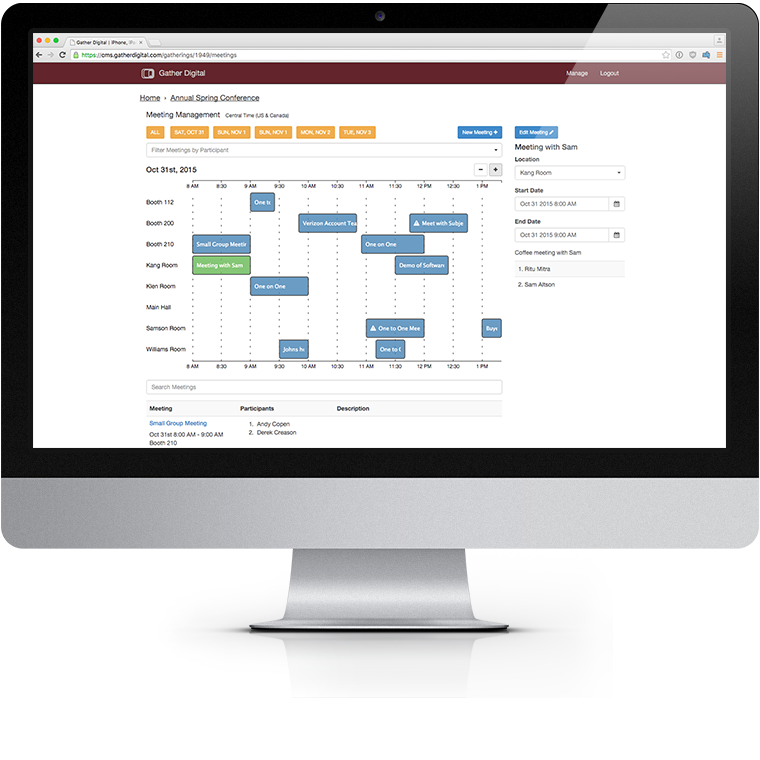 Search, sort and filter for agenda sessions, specific types and tracks, and speakers. 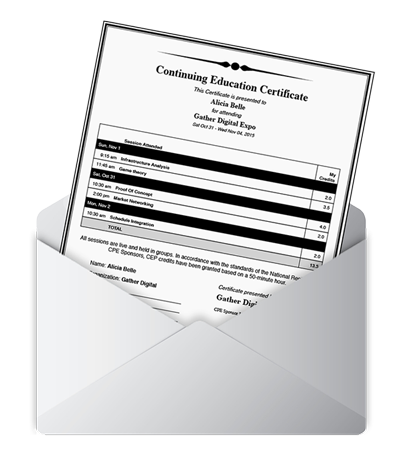 Attach important documents to your session and even allow speakers and exhibitors to upload their own presentations. 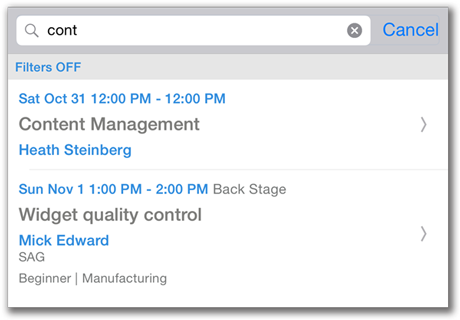 Attendees can customize their schedules, add personal appointments and take notes all from within their event app. Our Save a Seat room capacity tool allows you to foresee space constraints and plan accordingly. Complex agendas are a breeze with our two-tiered agenda option. Navigate easily through workshops, breakouts and concurrent sessions. Use the in-app agenda to plan for session attendance with our “Save a Seat” tool. 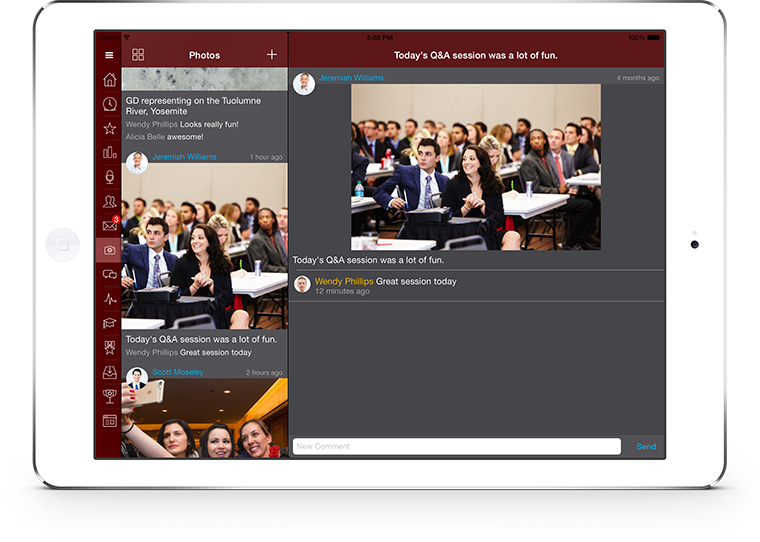 Gather Digital offers more flexibility, more control and more power to design a fully branded conference app for your organization and your event. 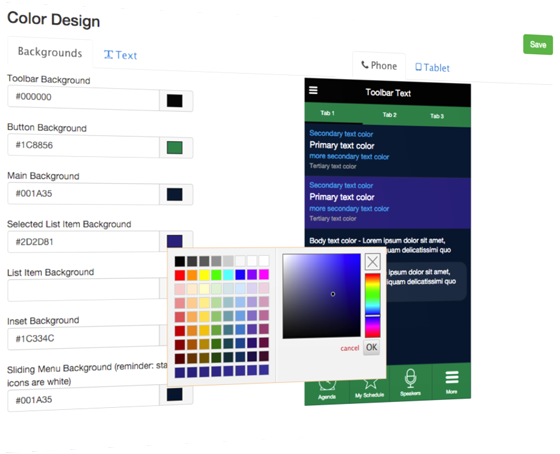 With Gather Digital’s theming, you’ll be able to create an app that truly reflects the style of your organization and event. You won’t believe how easy it is to do; but you’ll still have a dedicated project manager who will guide you all along the way. Best of all, nearly all of app can be updated to users live in the field. Add or remove features and change color theming at any time. Simple to use and no extra hardware needed! 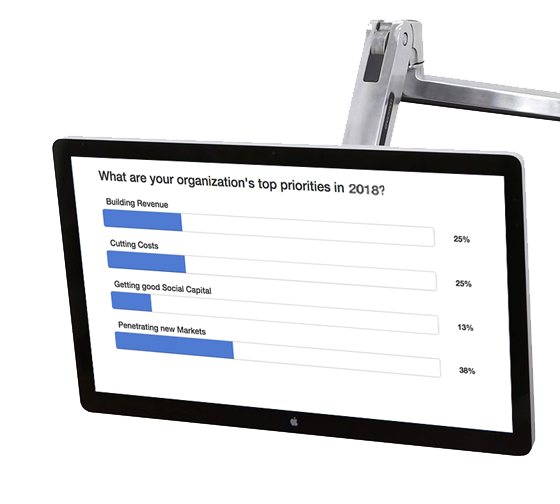 Engage your audience as they vote and pose questions to the presenter. Drive collaboration by having session attendees work in small groups and share responses with the rest of the room. Results display in real time from the event app and also on a large screen. It’s a great way to keep your audience “in” the session and get valuable feedback at the same time. 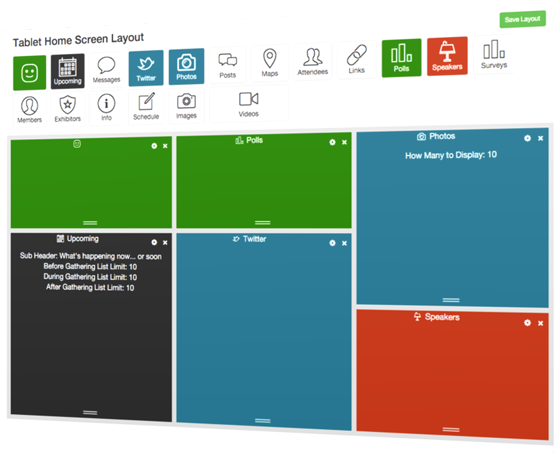 You’ll also have access to a full exportable report from the easy-to-use content management dashboard. 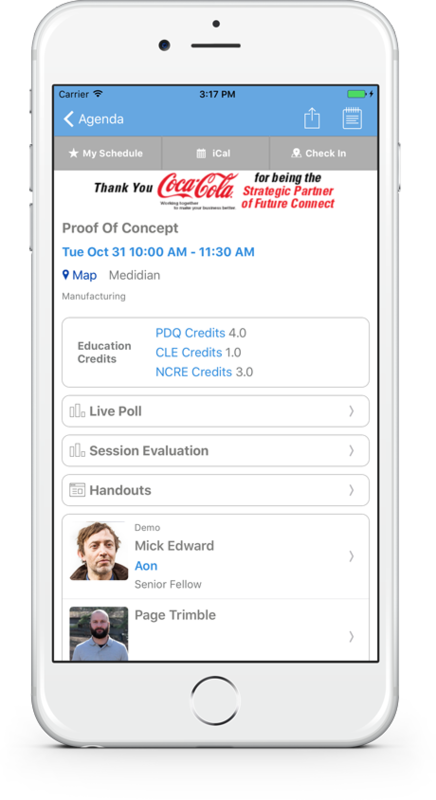 Encouraging attendees to take and share photos from their interactive conference app is both fun and purpose driven. Attendees help create the experience of the meeting as they post and comment on other photos. Memories are made, shared and can even be exported by the event planner to use in future marketing efforts. Photos display in app and on a large screen. 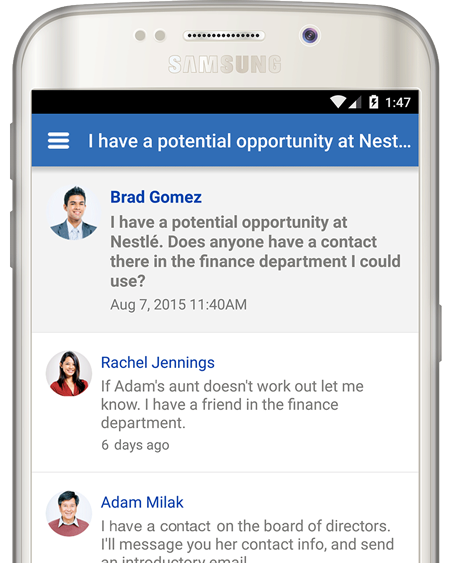 Use your event app to set topics for dialogue or allow your users to start the discussion. It’s a great way to promote an interactive groupthink. Posts display in app and on a large screen. 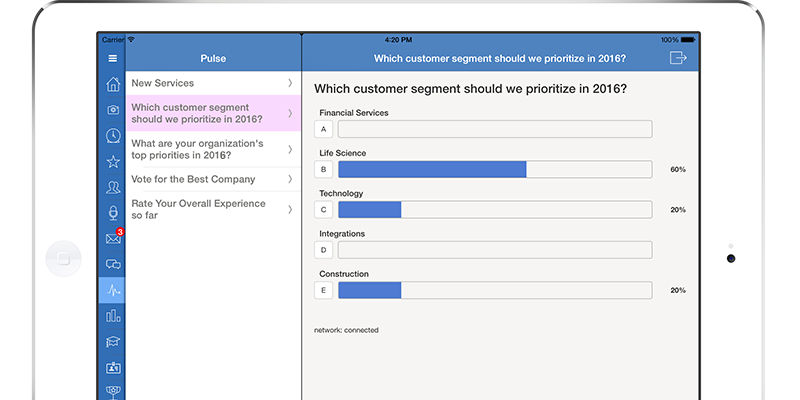 Pulse is a great way to gauge opinions throughout an event. Have attendee viewpoints changed as the meeting goes on? Solicit feedback or have participants ask questions of you. It’s super interactive and people love watching results fluctuate in the moment. 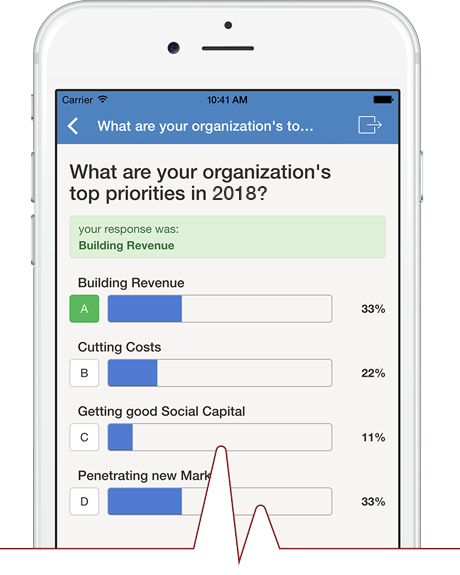 Responses display in the conference app and on a large screen. 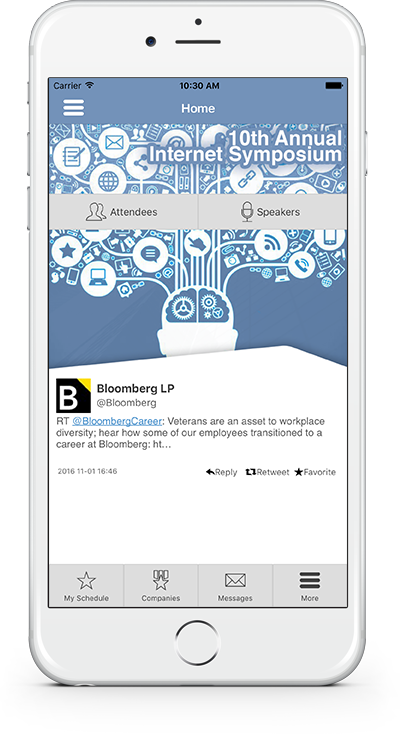 Accelerate attendee involvement and drive desired behaviors using fun and friendly competition within your event app. The Badge Game allows attendees to earn badges for posting photos and discussion board comments, responding to live polls, attending agenda sessions, completing continuing education courses and taking a survey. The Leaderboard shows who’s earning what badges and how the competition stands up. Use our starter set of badges and then add your own. Attendees create their own virtual business cards with photo, logo and color choice. Then share with other attendees by simply scanning the QR code within the app. So easy! 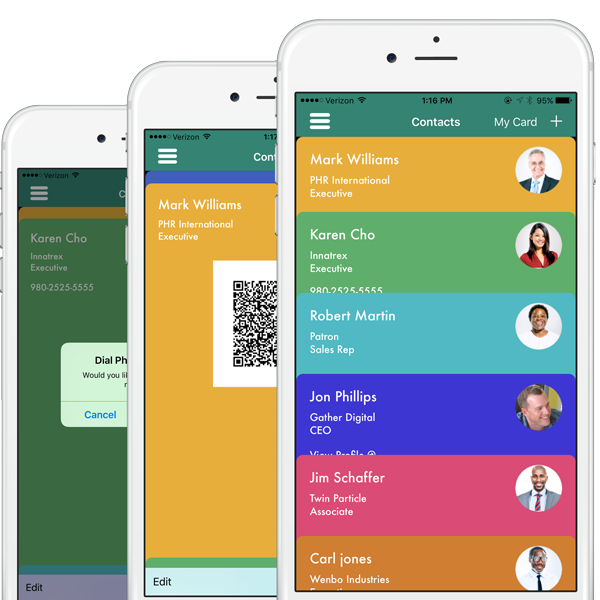 And scanned cards can be imported directly into the phone’s contacts. Schedule small group meetings between two or more participants—attendees, speakers, exhibitors or internal employees. It’s as simple as drag and drop. 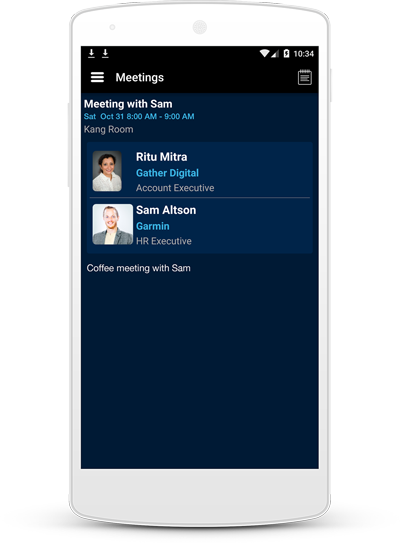 Meeting members see their meetings synced to their schedule and can be notified by a push message so they don’t miss a thing! Attendees can check in to designated agenda sessions or complete surveys to earn CE Credits. Attendees view their earned credits in real time and you have access to a full report in the easy-to-use content management system. 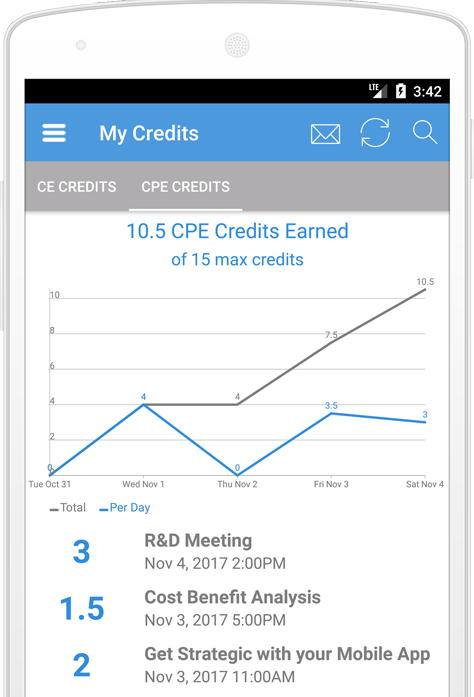 At the touch of a button attendees may request a certificate of credits earned from within the event app, or the event planner can send out certificates to individuals from the dashboard.